Audiodraft helps brands differentiate themselves in all of the noise. How do you distinguish a brand? What do you think about when someone brings up Nike or Apple? Perhaps the most common answer is the visual logos or slogans. But what do these brands actually sound like? This is exactly the question Teemu Yli-Hollo has asked companies for the past 10 years. What started as a school project at Aalto University back in 2008 is nowadays his co-founded audio branding agency, Audiodraft. Helping companies develop holistic and unique soundscapes, the agency is ultimately striving to bring audio branding to the level of visual branding. “Thanks to smartphones, content is increasingly consumed through our ears and companies are pondering how their message and identity gets heard in the new reality of two-way engagement with consumers,” says Yli-Hollo. 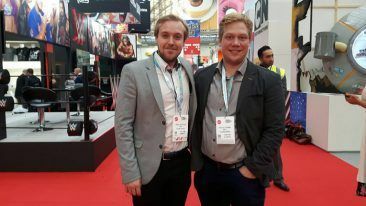 “We started off from an artist’s point of view, to bring brands and artists together,” explains Teemu Yli-Hollo (right), CEO-rapper of Audiodraft. 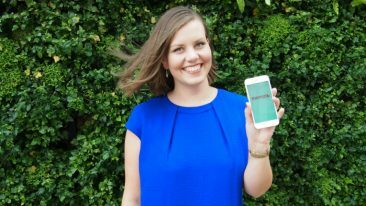 Audiodraft’s answer is a web-based platform where businesses can analyse, create and manage their audio brand. The platform sources 20 000 freelance artists and sound engineers from 120 countries, each able to take part in fulfilling companies’ orders by submitting their own vision for a particular sound or working towards a whole audio identity in a collaborative way. 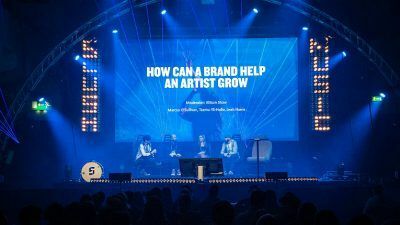 Given that only 17 per cent of companies have audio brand guidelines, compared to 86 per cent in visual branding, the biggest challenge for companies has always been briefing the sound engineers on their vision of what their brand should sound like. To overcome the hurdle, Audiodraft has developed a brand sound analysis tool for the platform. What follows is the creation phase. It is a process that involves developing soundscapes for a company’s different service sectors based on the brand analysis, as Audiodraft did with Outotec. It also consists of optimising messages for all media through which audio is generated in the company’s business – think call centres, office lobbies, events, user interfaces, the works! The final part of audio branding is managing one’s brand. “You can find all created brand assets and attributes on the platform, which will help a client to implement and develop their audio brand in the future as well,” explains Yli-Hollo. Teemu Yli-Hollo (left) and Cameron Murphy, head of production, showing off their award bells at International Sound Awards 2018. Ever had goosebumps watching a film? 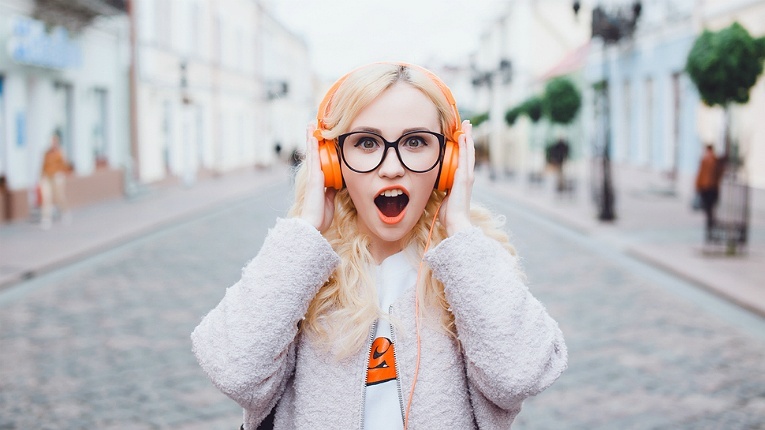 Audio has a powerful, yet subliminal, influence on an individual’s feelings and memory. Yli-Hollo’s team has been toying around with sound applications to extract a fuller experience out of regular everyday things. 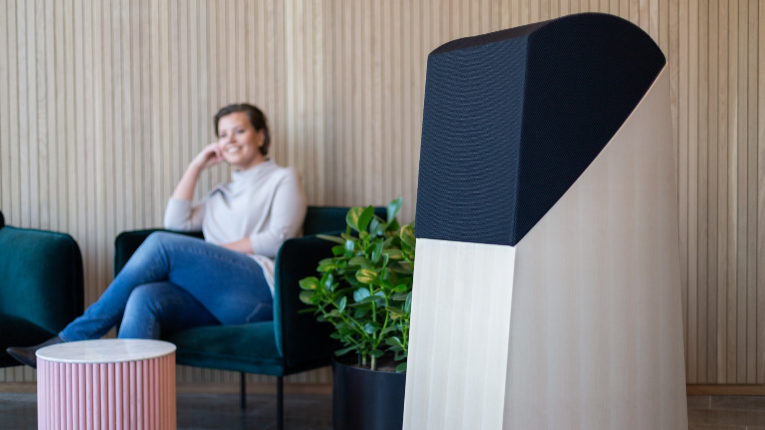 One good, do-try-at-home example is when Audiodraft teamed up with Kyrö Distillery Company at Slush Music 2017 to showcase the power of sound with an audio sommelier experiment. Participants tasted two of Kyrö’s upcoming bitters while listening to custom-made tracks to enhance the bitterness of one and the sweetness of the other drink and better the general enjoyment of both taste palettes. The results turned out a success: the organic and distinct tastes were highlighted and the overall enjoyment was refined. “By paying more attention to what’s happening outside of the glass, we can add value to what’s inside it,” says Pauliina Marjanen, global brand ambassador at Kyrö Distillery Company. The tasting experience didn’t go unnoticed in the audio branding industry. 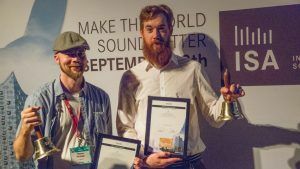 It swept the prize table at 2018 International Sound Awards. The work done by Audiodraft is not only for companies: the agency created an audio identity for the Swedish football team last summer and its very first deal was to develop a theme song for a personal brand. Yli-Hollo has a background in the Finnish rap scene and has had the title CEO-Rapper punched on his business card since the beginning. Former Angry Birds spearhead Peter Vesterbacka started as Audiodraft’s advisor from the start and, with his background at Hewlett-Packard, he was able to arrange a sit-down with then-CTO of the American IT company, Phil McKinney. Who knows, maybe personal audio posts or brands will be as common as pictures on social media nowadays. Or maybe we’ll be hitting the bars with custom-made tunes in our ears. How would that sound?